Discussed during a hearing in Atlanta last week and published to the JPML website on Wednesday, the transfer order signed by panel chair Sarah Vance mandates a total of 61 similar cases involving the iPhone slowdown debacle be moved to the Northern District of California. The order stems from an action tied to litigation lodged with the District Court for the Northern District of California. In that case, Gallmann v. Apple Inc, plaintiffs moved to relate and centralize 19 lawsuits spanning 13 different districts to either the Northern District of California or the Northern District of Illinois. According to the order, the panel was made aware of 42 similar actions in ten districts. All 61 parties support coordination of the suits, though preferences as to where the resulting litigation would land differed. Defendant Apple, as well as 31 plaintiffs, sought to centralize proceedings in the company's home state of California, a request to which JPML agreed. "On the basis of the papers filed and hearing session held, we find that the actions listed on Schedule A involve common questions of fact, and that centralization in the Northern District of California will serve the convenience of the parties and witnesses and promote the just and efficient conduct of this litigation," Vance writes. Explaining the decision, the panel order notes California is not only where Apple is headquartered, but is the origination point of 32 of the 61 related actions under review. Further, 30 cases in question were assigned to California District Judge Edward J. Davila, making centralization to that venue a more efficient allocation of assets. Pending consent of the court, the lawsuits will be assigned to Davila and consolidated for pretrial proceedings, the order reads. MacRumors reported on the earlier today. Apple is being taken to task over potential false advertising, alleged unfair business practices, trespass to chattels, breach of contract and unjust enrichment for its part in issuing an iOS tool that temporarily throttles the iPhone processors during instances of heavy load. The company released the hardware management feature in iOS 10.2.1, and all subsequent iOS versions, to mitigate negative effects of aging iPhone batteries, specifically unexpected shutdowns suffered by certain iPhone 6 and 6s devices. Apple failed to adequately inform users about the feature and its ability to slow down performance without user consent, plaintiffs argue. Release notes accompanying the 10.2.1 release state the update "improves power management during peak workloads to avoid unexpected shutdowns on iPhone." The iPhone slowdown row began late last year when a Reddit user discovered the CPU throttling function by running impromptu benchmarking tests on their personal device. Subsequent "me too" claims dredged up speculation that Apple intentionally built the feature as part of a planned obsolescence scheme. A series of class-action lawsuits and government inquiries followed, many of which assert Apple is at fault for meddling with customer hardware after purchase. For its part, Apple maintains the battery management function is a feature, not a nefarious plot to drive sales. Addressing the issue in front of Canada's parliament last month, Apple Canada's Manager of Legal and Government Affairs Jacqueline Famulak said theories that the iOS capability amounts to planned obsolescence are false. "The sole purpose of the software update in this case was to help customers to continue to use older iPhones with aging batteries without shutdowns — not to drive them to buy newer devices," Famulak said. 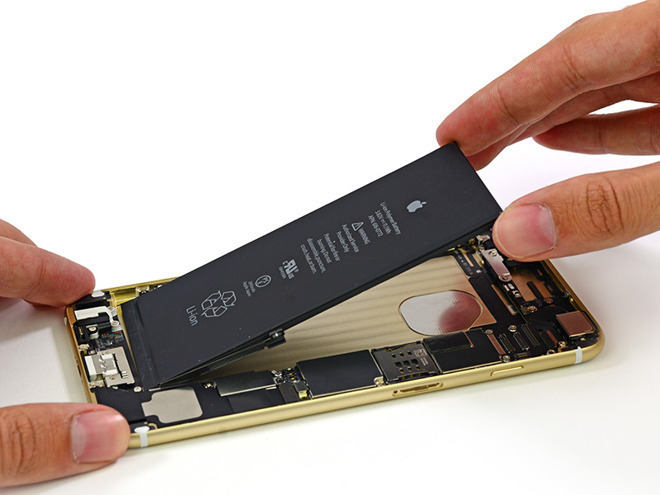 Apple ultimately apologized to iPhone owners in December for a lack of transparency and cut prices on out-of-warranty battery replacements. A fresh battery will not trigger the throttling action, allowing users to operate their handset at full potential. More recently, Apple introduced a new battery health tool as part of last week's iOS 11.3 release. Officially labeled a beta feature, the tool lets users monitor battery integrity and, if necessary, manually disable CPU throttling.